There are some businesses that are able to rely on referrals alone. But most businesses cannot depend on potential referrals. That’s where leads come in. Every visitor to your website is a lead with the potential to become a customer. It’s important to have a target audience so you can attract the leads who are most likely to convert and become loyal customers. Some leads will come to you. They may know what they’re looking for and already be ready to buy. Others may come to you from a referral from someone they know. For the most part, though, potential customers are not even on your website yet, because they’ve never heard of you. It’s your job to change that. There’s a practice among marketers in which lists of leads are bought. These lists contain leads that you can then target directly. However, this is a sketchy practice that is quickly fading. Most of these leads are old, with information that is no longer valid, such as deactivated email accounts. Even if you are able to reach them, it will be difficult to get them to click on your website’s link, since you are a complete stranger to that person. A much better method is organic traffic. This means attracting traffic to your website without cold calling leads on a list. You do this with blog content and special offers. 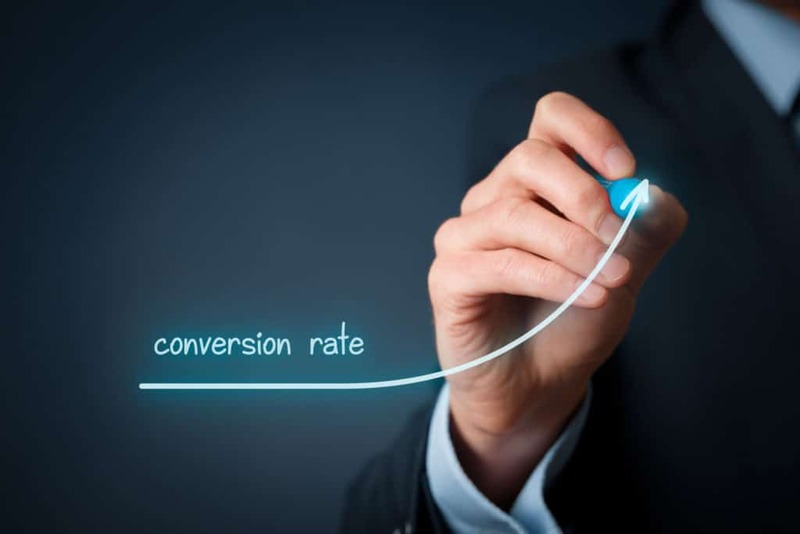 As leads become customers, they contribute to your website’s conversion rate. This is a figure that relates your conversions to your site’s total traffic. You can find this number by dividing the number of conversions by the number of total visits. This will give you a percent comprising your conversion rate. So, what is a “good” conversion rate? Surveys have shown that if you’ve achieved a five percent conversion rate, you’re doing better than 75 percent of the top advertisers on Google. But most experts agree that you should strive for at least 10 percent. If you are not quite reaching a conversion rate of 5-10 percent, what can you do to improve it? The answer is conversion rate optimization. This is different from website optimization, which aims to attract organic traffic to your site. Conversion rate optimization takes effect after a visitor arrives on your site. It consists of methods to convince a lead to take an action, such as signing up for an offer, contacting your company for a quote, or actually purchasing a product. One of the most effective forms of conversion rate optimization is offering something of value at no cost to the visitor. This is often called an opt-in offer or lead magnet. Basically, you’re offering a free resource in exchange for your visitor’s email address. You then can make use of email marketing to promote products and services to convert the lead into a customer. But a simple “sign up for our email list” button isn’t going to cut it. Without the valuable resource, most people will not hand you their email address. Once you have decided on the resource or offer that you will provide, you need to set up the process for collecting the email addresses. This is usually done with a pop-up, but you can also include forms in sidebars and menus, as well as links to your landing page within blog posts. Generating leads is hard work. Customers aren’t going to knock on your door, ready to buy. By attracting organic traffic and utilizing conversion rate optimization, you can increase the leads you attract and achieve higher conversion rates. The best way to do this is to create an opt-in offer to collect emails for marketing purposes. By following this method of lead generation, you can increase the efficiency of your website, which in turn will increase your sales and revenue.